Combine the water and yeast in a large bowl. Dissolve the best you can, but it’s not very much water for dissolving that much yeast. Add the milk, shortening, sugar, orange juice and zest, salt, eggs, and three cups of flour. Stir until smooth. Stir in enough remaining flour to form a soft dough. I added a cup and a half. 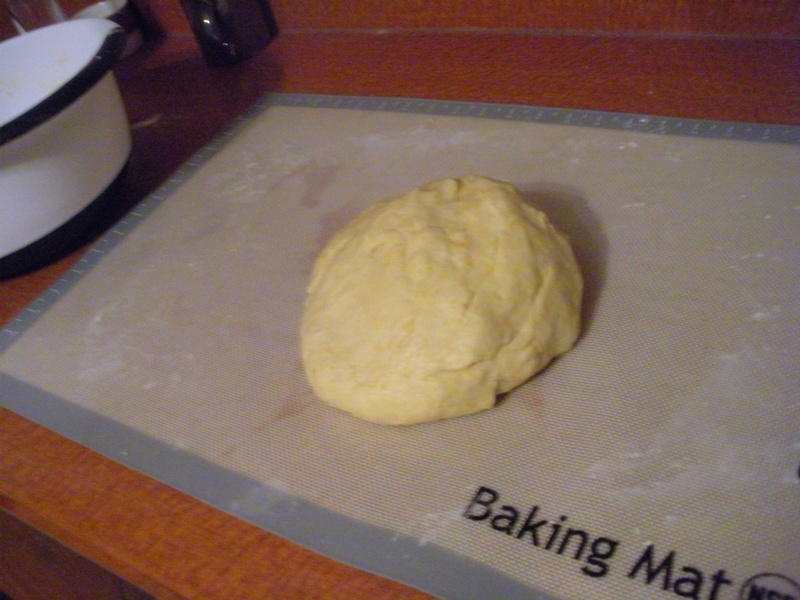 Turn onto a lightly floured surface, and knead until smooth and elastic, 6-8 minutes. While kneading I added another half cup of flour, bringing it up to 5 cups total. Place in a greased bowl, turning once to grease the top. Cover and let rise in a warm place until doubled, about 75 minutes. Punch the dough down, and turn onto a lightly floured surface. 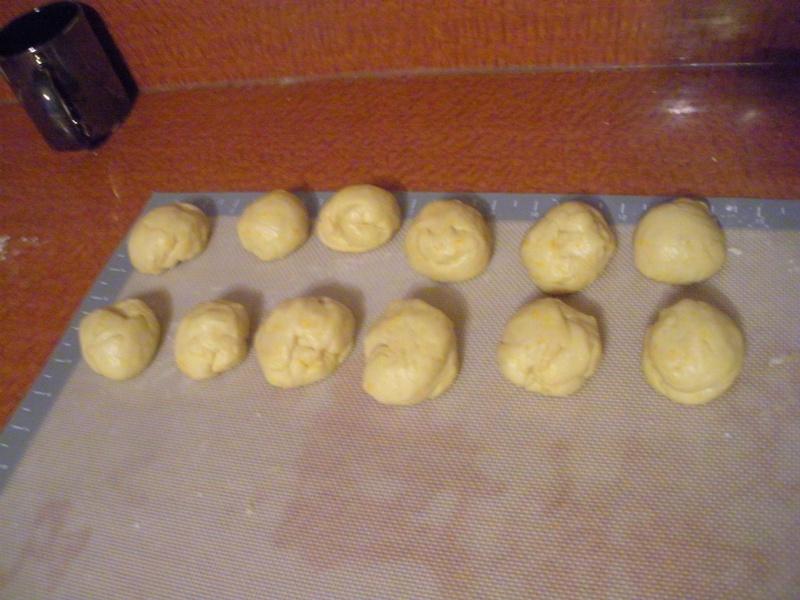 Divide the dough in half, and then divide each half into 12 balls. Roll each ball into a 10″ rope, then tie into a knot. Tuck the ends under, then place on greased baking sheets 2″ apart. Cover and let rise until doubled, about 45 minutes. Bake 12-15 minutes or until golden brown. 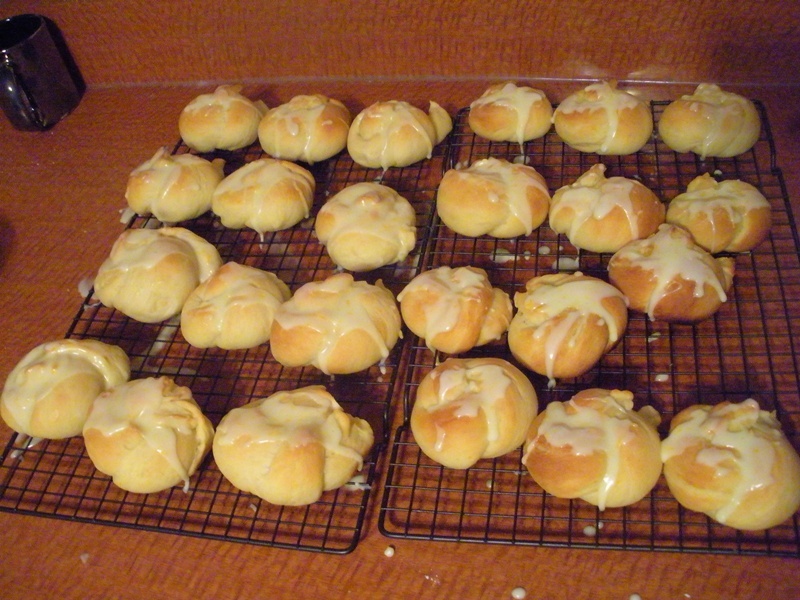 Stir together the icing ingredients, and drizzle over the knots. The shortening gives these a really nice texture. I had forgotten how good oranges are until now. Apparently I like them quite a bit! 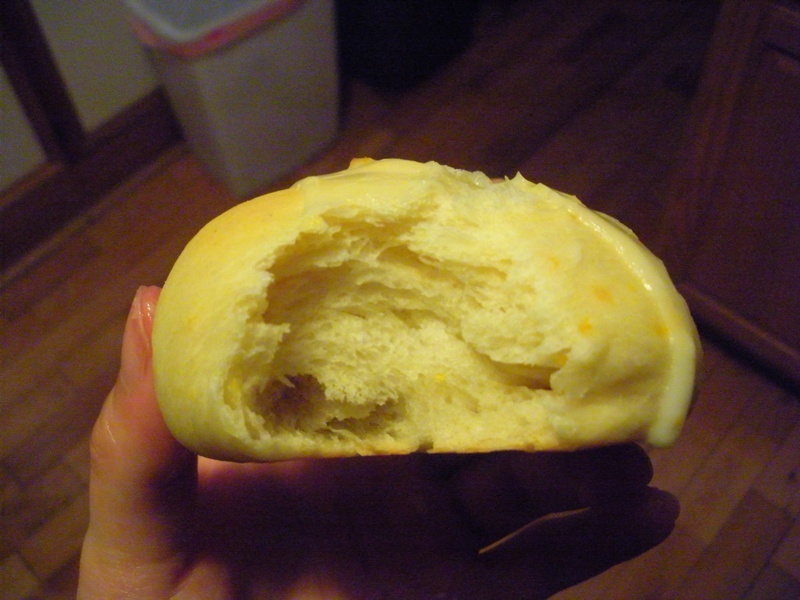 I’ll be submitting this to YeastSpotting, which, as always, you should check out if you want some bread inspiration. In a large bowl, dissolve yeast in warm water. Add the milk, shortening, sugar, orange juice and peel, salt, eggs, and three cups flour. Mix until smooth. 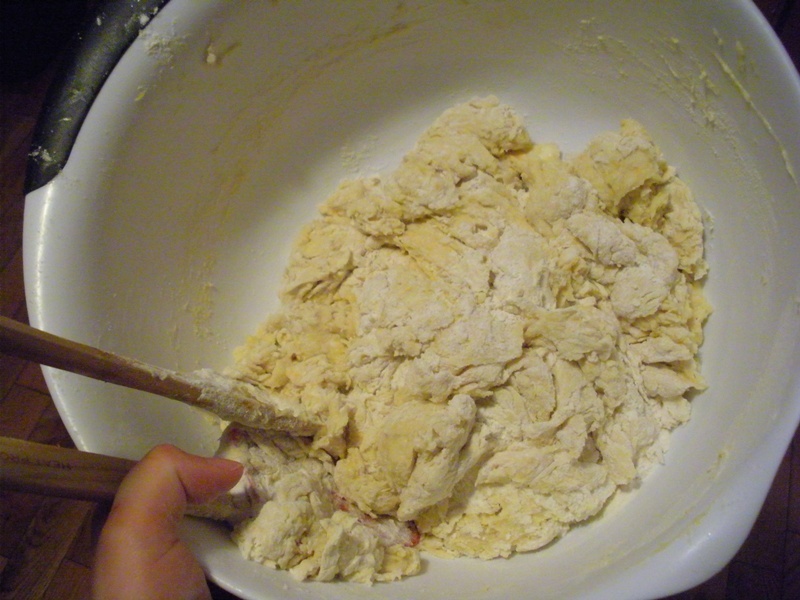 Add enough of the remaining flour to form a soft dough. Turn onto a lightly floured surface and knead until smooth and elastic, 6-8 minutes. 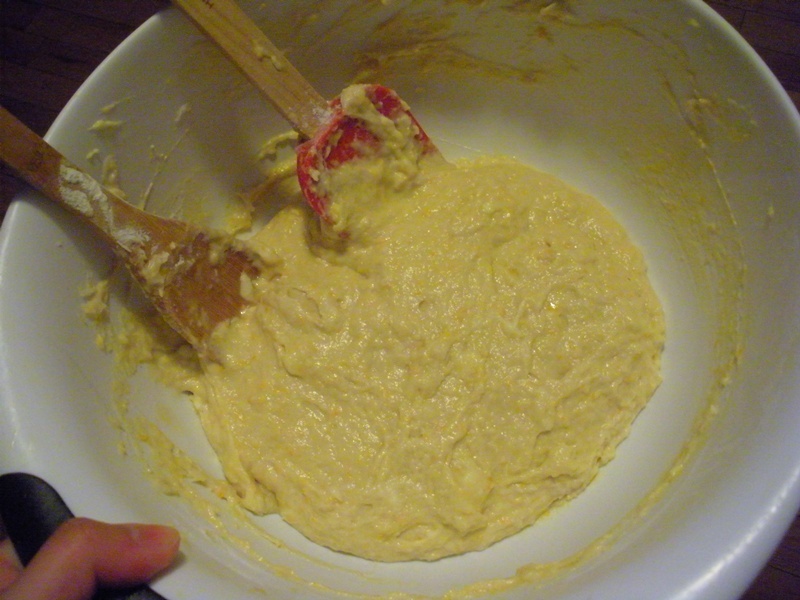 Place in a greased bowl and rotate to grease all sides. 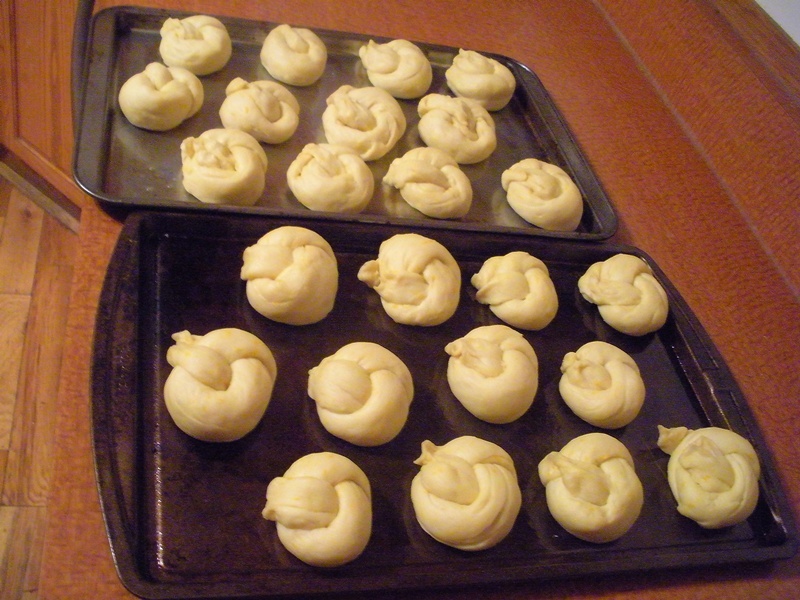 Cover, and let rise until doubled, approximately 75 minutes. Punch dough down and divide into two. Divide each half into 12 balls. Roll each ball into a 10″ rope and tie into a knot. Tuck the ends underneath. 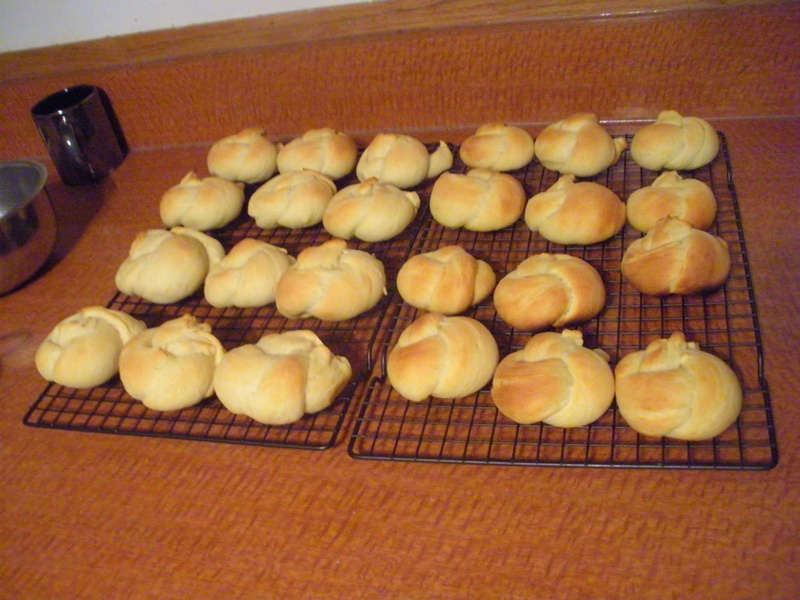 Place on greased baking sheets 2″ apart, cover, and let rise until doubled, about 45 minutes. Preheat oven to 375 degrees. Bake 12 to 15 minutes, until golden brown. Remove to a wire rack to cool. Stir together icing ingredients and drizzle over rolls. 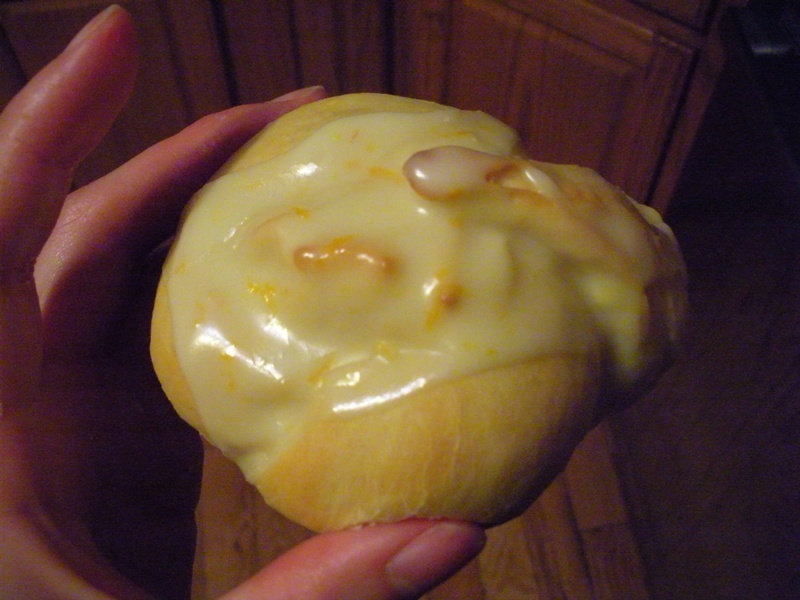 This entry was posted in Bread, Breakfast, Brunch and tagged Icing, Oranges. Bookmark the permalink. I’ve had virtually no flour in a week, and those look amazing. I don’t even understand, how are you still alive?? I think they look nice! You don’t give yourself enough cred. I’d totally eat that. hehe thanks. They certainly taste worth eating!